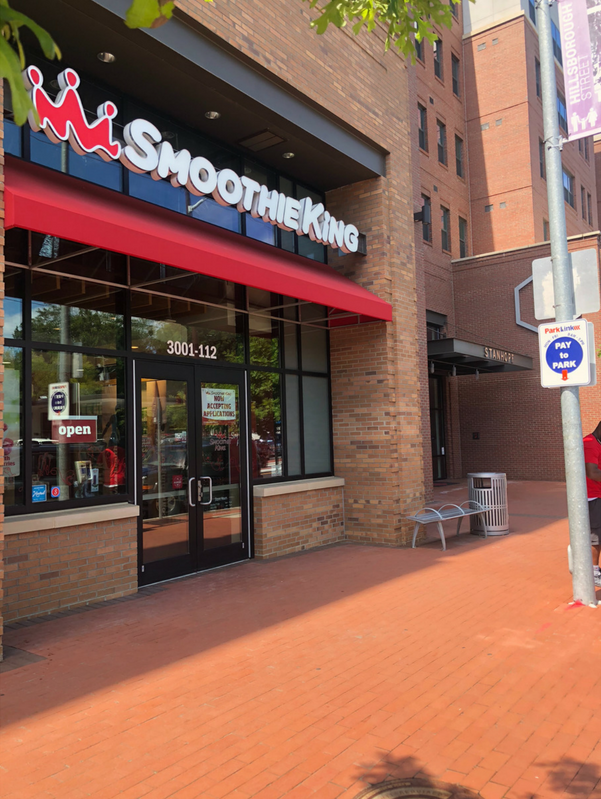 Smoothie King is perfectly located beneath Stanhope apartments for that pre-class snack or that mid-study pick-me-up. 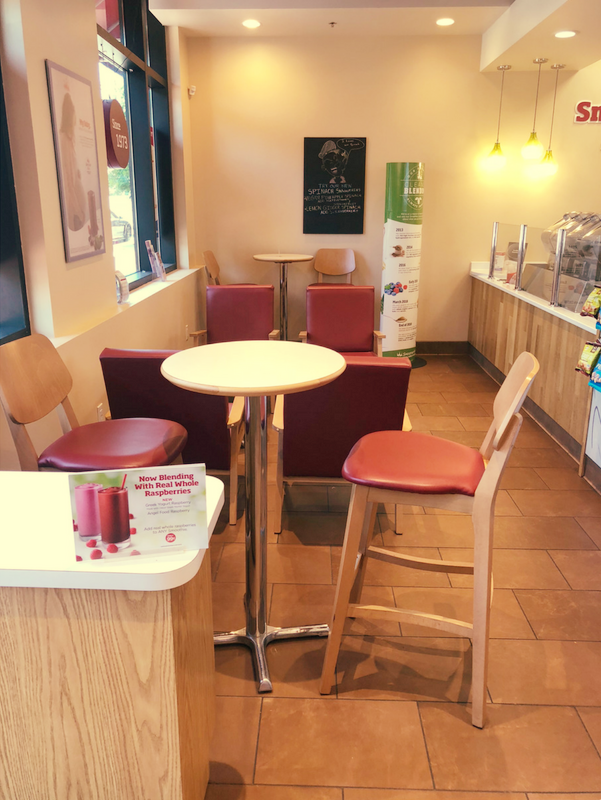 From slim-and-trim blends to take-a-break blends, Smoothie King has something for everyone. With all of the available ingredients like Açaí Sorbet, 100% Cocoa, and Green Tea Matcha, you can even create a one-of-a-kind recipe for yourself! With it's easy access and brand-new feel, you can also stay in for your smoothie! Thanks to a seating area with comfy chairs and high top tables, it's the perfect place to finish an assignment or have a quick talk with a friend or colleague. I'm a blueberry smoothie lover, so I ordered the Slim-N-Trim Blueberry. It had Wild Blueberries, Blueberry Juice Blend, Protein Blend, Lean1 - Vanilla, Gladiator - Vanilla, Stevia-Based Sweetener and a Fiber Blend. The Gladiator vanilla and wild blueberry were the perfect match. The smoothie was creamy and silky I couldn't put it down; luckily, I know the brain freeze trick and saved myself. Smoothie King is a must this summer! 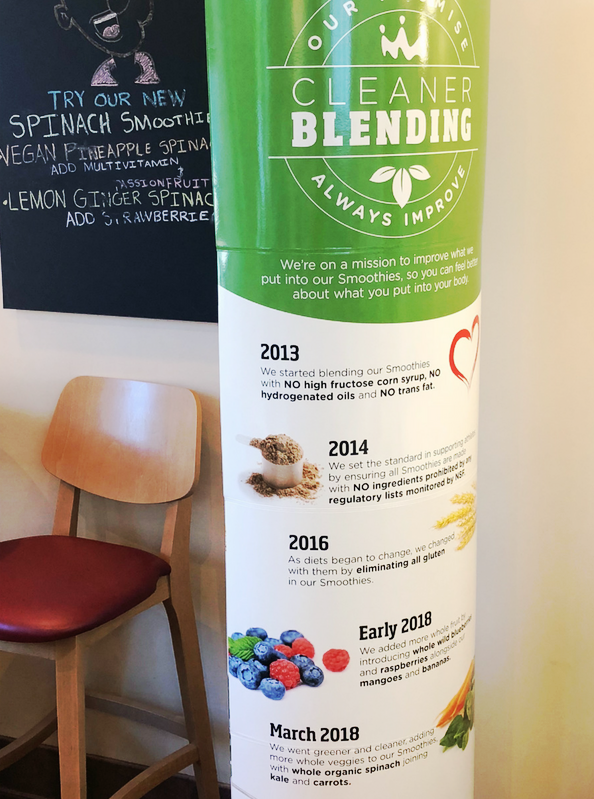 They open at 7am, so smoothie meal replacements are a great morning option, and they close at 9pm, so a late night slim-n-trim good be your after dinner drink of choice.